Do you long for the taste of fresh garden salad when the days are short? If so, it may be time to learn something our ancestors knew and people are rediscovering nationwide: the joys of winter gardening. 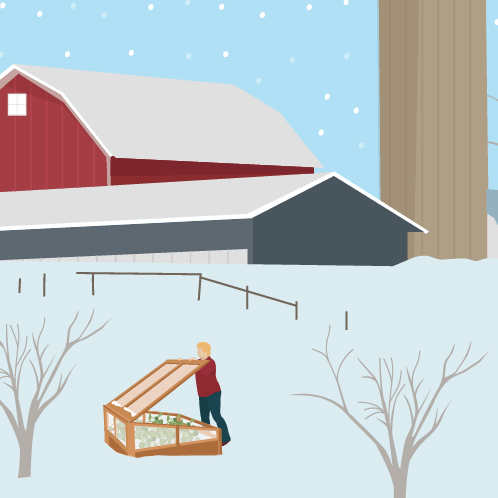 Read on to learn about veggies that thrive in the cold, and the simple devices that can shelter them. 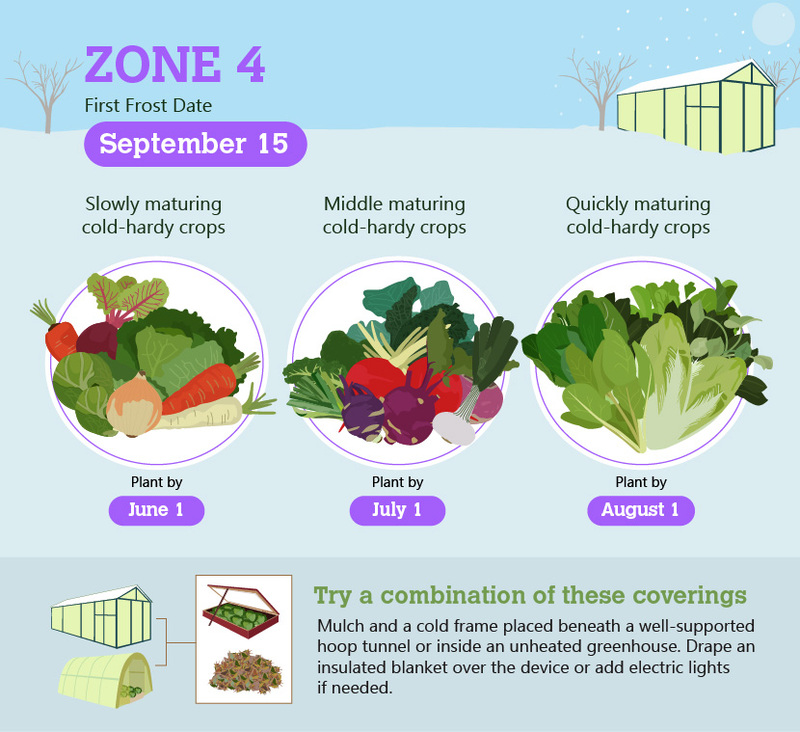 Then find specific plant timing information and climate considerations for USDA Hardiness Zones 4 through 9, where most cold-season gardeners live. 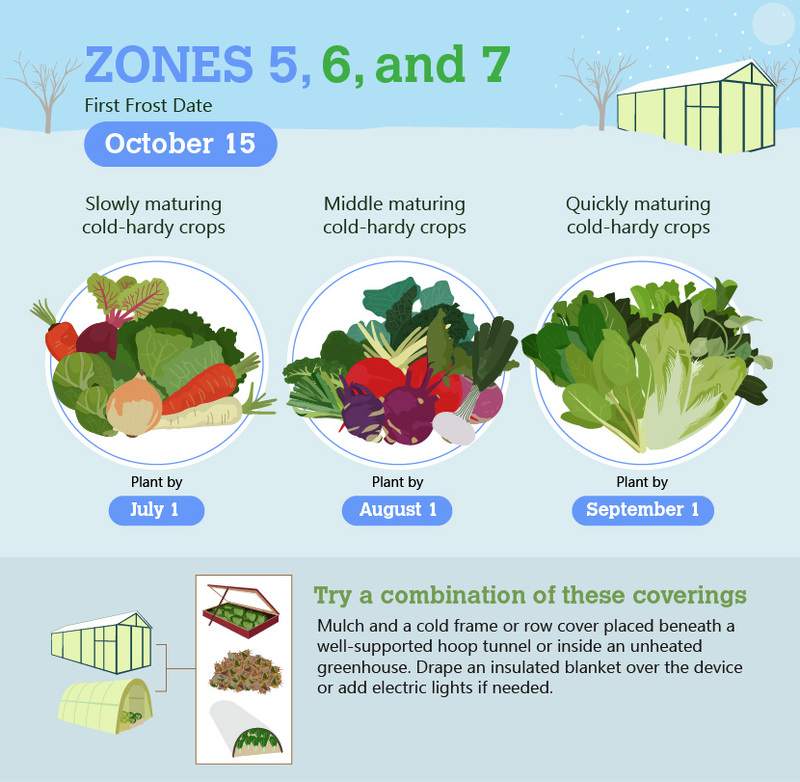 Winter crops often do best when several protection devices are combined. Start with the least protection you think is needed and see how plants do, then add more protection as necessary. For instance, mulch plants and cover them with a row cover, then invest in a hoop tunnel if needed. 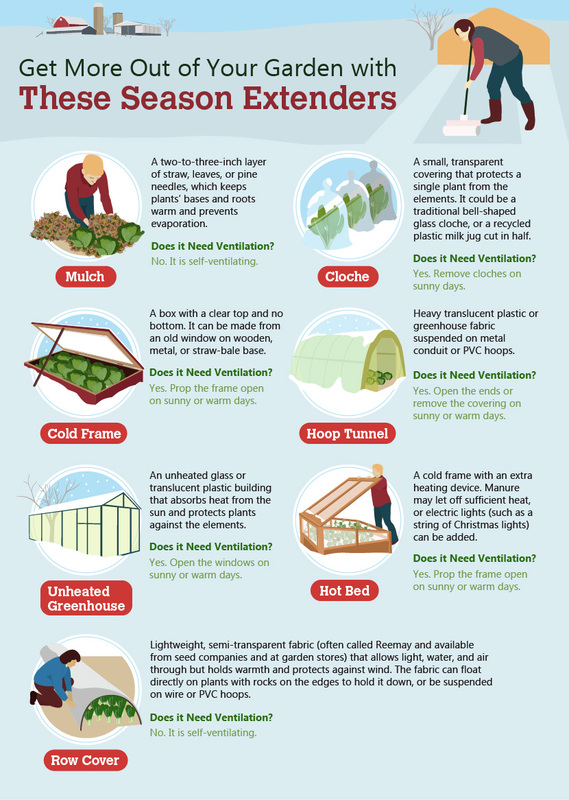 Or start with a cold frame and add a string of Christmas lights to turn it into a hot box during a cold snap. 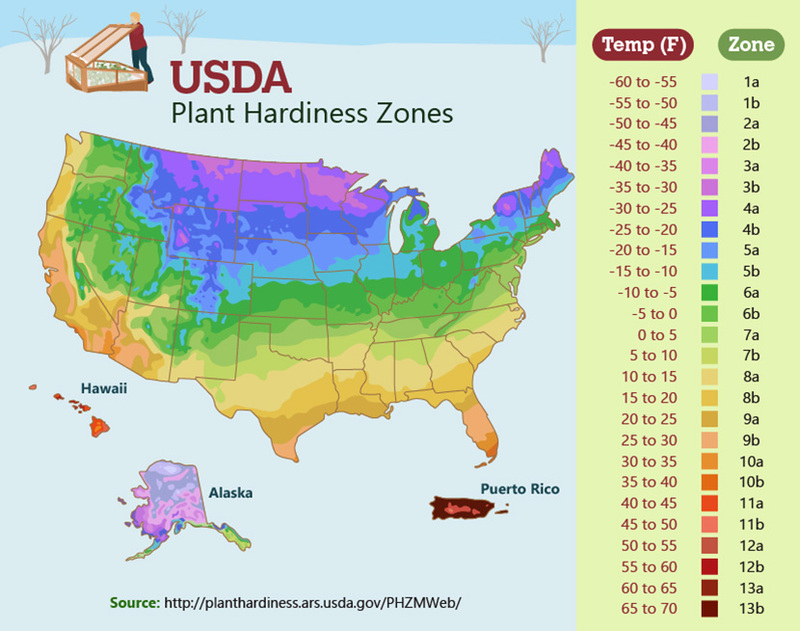 Find your zone on the USDA’s Plant Hardiness Zone Map and scroll down for planting dates and considerations for your zone.5 The key to a thriving winter garden is to plant crops soon enough that they have time to mature before the first killing frost. 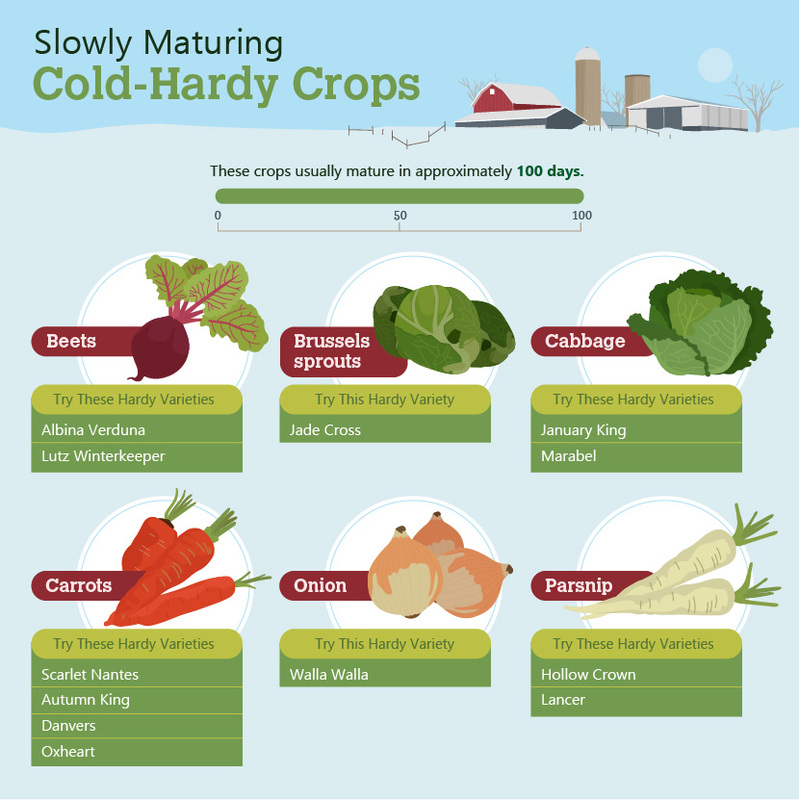 That’s why knowing the approximate maturity lengths for different cold-hardy plants comes in handy. 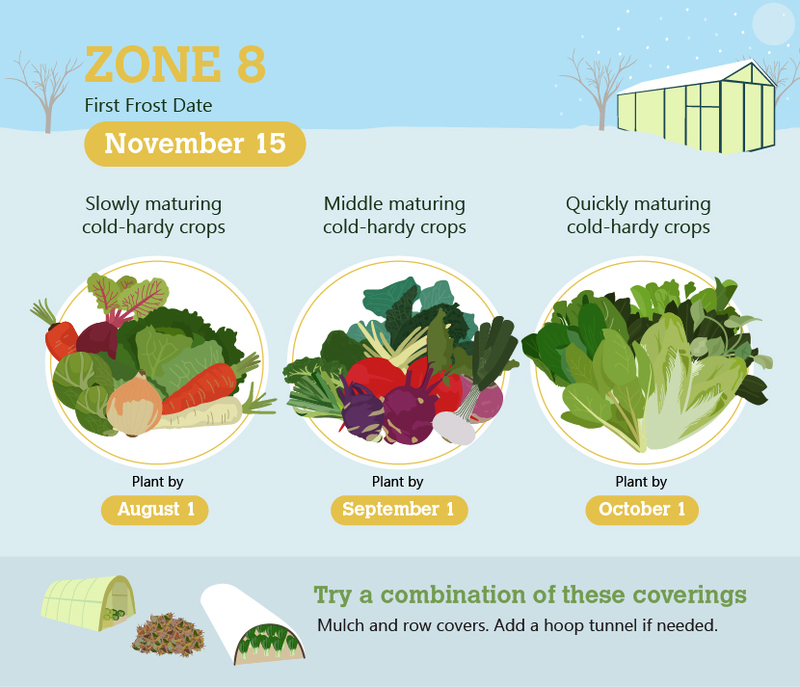 Use the dates below as guidelines, pay attention to weather variations, and experiment to discover the planting schedule that works best for you. These zones, which stretch across the middle of the country, also experience heavy snow. See Zone 4 information above for snow considerations. Winter temperatures are cold, with extreme minimum temperatures ranging from negative 29 degrees Fahrenheit to negative 16 degrees Fahrenheit. Combine a number of protection devices for the longest harvests. Temperatures usually stay above freezing in this zone but in rare cases they can dip to negative 12 degrees Fahrenheit. Some regions in this zone get snow and others get heavy rainfall. In arid areas without much wind, mulch may be the only protection needed to keep winter crops thriving most of the time. Pay attention to weather forecasts, and cover crops with fabric if freezing temperatures are predicted. Where wind is strong or rainfall is heavy, use row covers or another device to protect plants. 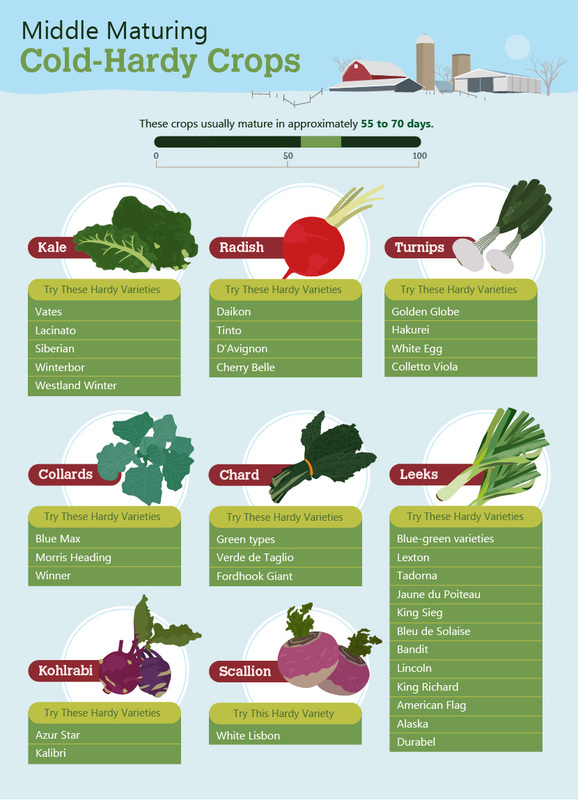 Temperatures are mild, and winter can actually be an easier time to grow food than summer. In semi-arid areas, mulch is usually the only protection necessary. A row cover with thin fabric may help in rainy or windy areas. If temperatures are expected to drop below freezing – it can dip to negative seven degrees Fahrenheit in extreme cases – protect plants with temporary row covers made of old sheets or cloches made of plastic milk jugs cut in half. Once the garden is planted and protection devices are in place, watering and harvesting are the main jobs of the winter gardener. Even in arid climates, winter gardens usually need less water than summer gardens because there’s less sunlight and less evaporation. Mulch further helps the soil retain water and can reduce watering needs by up to 25 percent.11 Cold frames usually entirely eliminate the need to water between mid-November and mid-February in most places, and once-a-week watering generally suffices for the rest of the cold season.12 Hoop tunnels and cloches may similarly reduce watering needs, depending on the set-up and the climate. The best rule of thumb is to feel the soil regularly and water when it feels dry.13 Contact a local county extension office or garden center for more region-specific watering advice. Gardening through the frigid months is not for everyone. 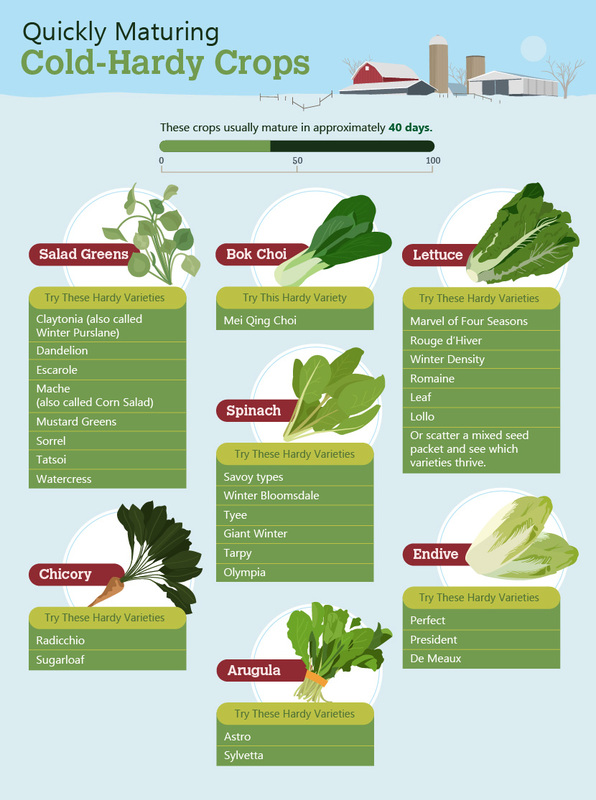 However, gardeners who are willing to experiment with planting cold-tolerant veggies at the right time and protecting them from the elements will be rewarded with the delicious taste of homegrown greens on the coldest, darkest days.